Wow!, ... just, wow. I have been away for awhile - my truck had a massive heart attack so I have been navigating the dark world of used pick up dealers (involuntary shiver). In the process I've also blown most of my meagre stash of pen funds. anyway, enjoying the eye candy, keep it coming. This set for $110. Is it M800? As year really ending, I think I will not get any new Pelikans in 2018.. Some more vintage pens what I was able to get for my collection. Edited by Barutti, 23 December 2018 - 12:59. Wow, very nice pens. Thanks for sharing the pictures! And Merry Christmas to you too, and all the folks on the FPN as well. 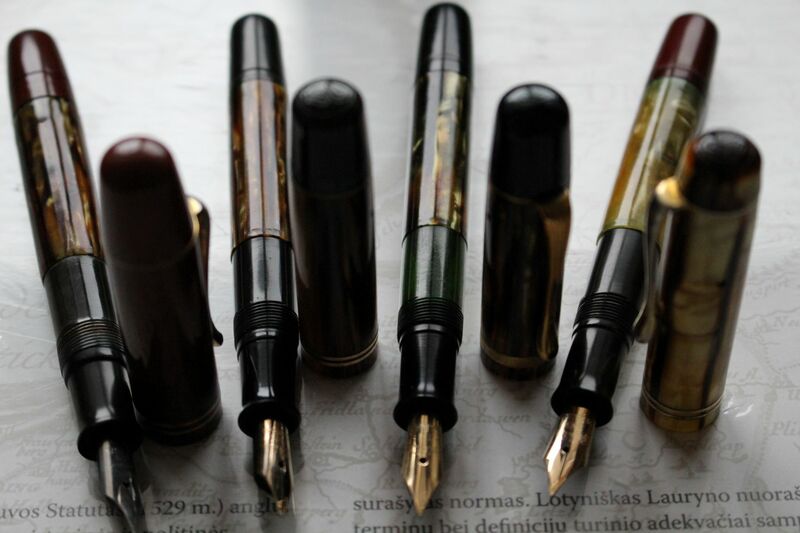 Barutti: Gorgeous Pelikans. You’ve had a marvelous year. Congratulations. Thank you all, guys! And happy holidays. @ Barutti: wow! 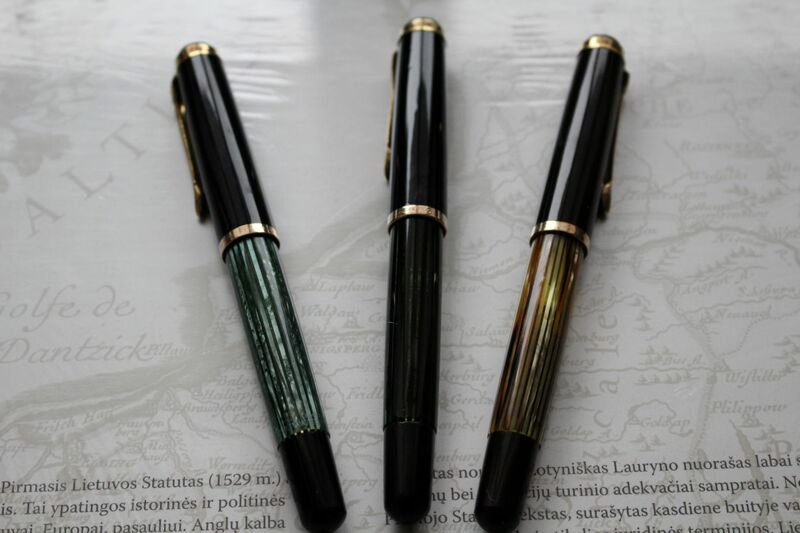 Wonderful pens. Congrats! My last pen of the year is nothing as fantastic as the ones above. But I was very happy (and very lucky) to get it: a 400 green/green in wonderful condition that I bought cheap and thinking it was a green/black. Now, I just need to figure out how to get the stuck nib out to lubricate the piston. Edited by Lam1, 24 December 2018 - 06:18. Barutti, my hat's off to you! Lovely additions there. <3 Oh, Merry Christmas to you and everyone else in this thread, I hope that the year 2019 will be one of plentiful growth for all of our flocks! 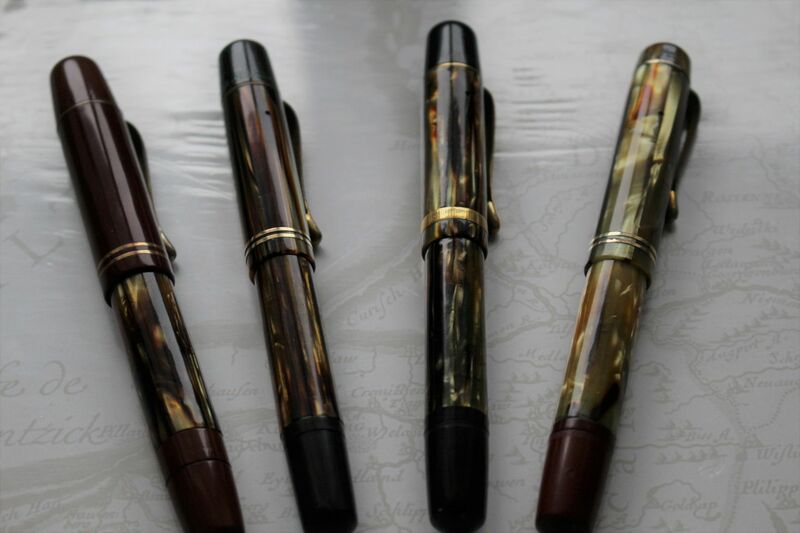 Will post later here with pics once I receive the 400NN Tortoise with a later 14k BB "Chevron" nib... maybe tomorrow now that the mail is being delivered again. One can always dream and hope. No need take of hats in the middle of the winter I am grateful to all pelikan lovers especially there in fpn- I learn a lot from discussions, experts insights. It was very useful and helps me to start my amateur collection of birds. It's been an expensive year with such delicious new releases. While the M600 size is not my preferred one, the Vibrant Orange was irresistible, and I just secured a pink stripe to accompany its siblings in Turquoise and White. That's apart from the lovely M8XXs that came out this year... had to draw the line at the LEs though. 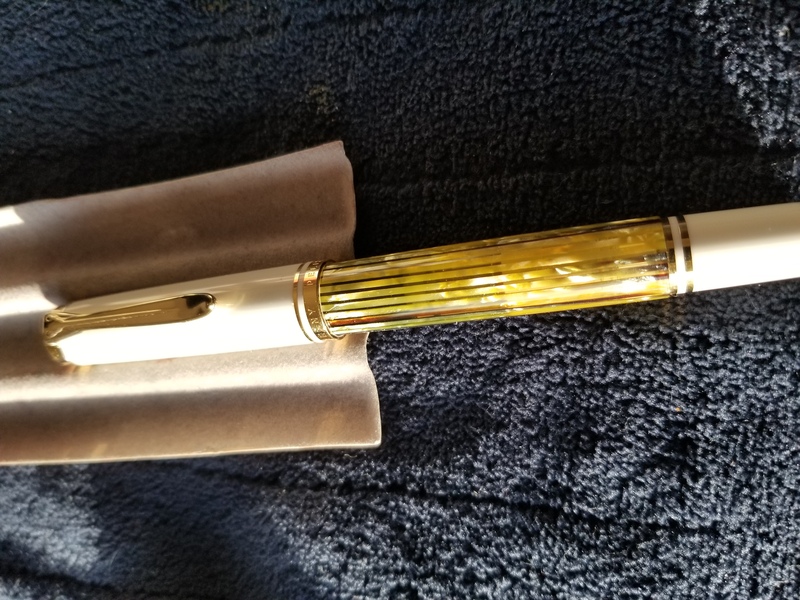 I thought I posted photos and such in this thread of my only Pelikan acquisition in 2018. A M400 White Tortoise with a B nib from The Writing Desk. Back in October I came into some funds unexpectedly, so with a portion of it I was able to upgrade to the M400 from something else. That's a nice upgrade! Now you will start searching for the M600 to match it. Great pens! So.....I have not added any. What about you?